So. Man of Steel. I’m a bit late to the commenting party on this, and I have already contributed my two-bits to a roundtable podcast hosted by Shaun Duke of the Skiffy and Fanty Show (over here). I did, though, want to elaborate a bit further on a point I touched on in that discussion: the unconvincing use of religious symbolism in Man of Steel versus its far more interesting deployment in some giant monster movies. Stick with me here, okay? So the Superman-as-Christ elements in Man of Steel are not exactly subtle. There’s his arm-spread position as he steps out of Zod’s spaceship to drop back to Earth, the fact that he’s 33 years old, the decision to help humanity coming while standing before a stained-glass window, and the whole “be a model for the lesser mortals” and “he’ll be a god to them” speeches by Jor-El. Right. We get it. So Supes=JC. And….? So what? The film does absolutely nothing with this. Part of the problem with the equation is that it is too literal. Comparing a god to a god doesn’t really get is anywhere. How, exactly, is this interesting? It might be interesting if a bit more of the Christ narrative were used. Now, I am no theologian, but it does seem to me that an integral part of the New Testament is Christ’s sacrifice. Where is Superman’s? Jonathan Kent sacrifices himself, in a scene risible in both execution and logic. We could make a case for something of the sacrificial surrounding Jor-El and Lara. But what, exactly, does Superman sacrifice? Nothing. Or certainly not anything meaningful in terms of his being a Christ figure. If that look of beatitude that he has in the final moments of his battle with the World Engine is supposed to be his Passion, then the scene is even more ridiculous than Kent’s death-by-slow-mo-tornado. By contrast, let’s consider two other Christ figures in spectacle movies, characters who are, on the face of it, so far removed from their model as to make the comparison grotesque (though for precisely this reason it is already more interesting). 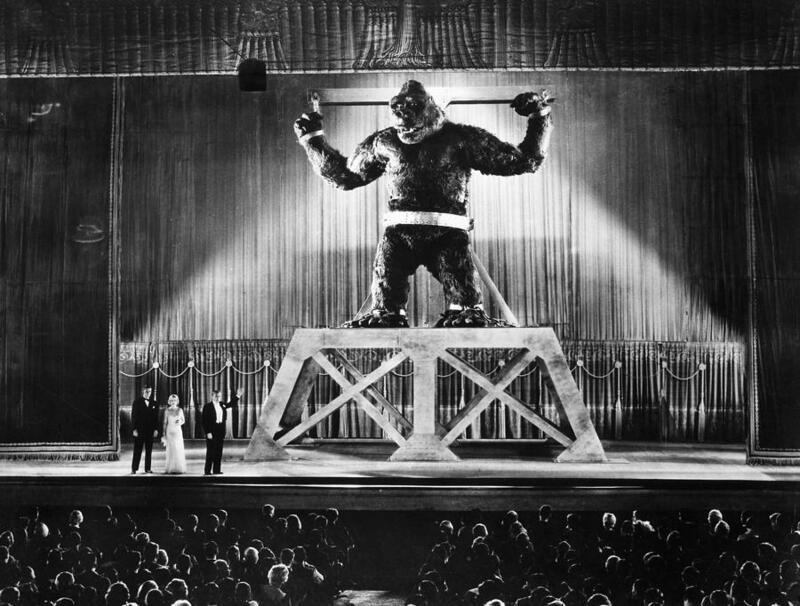 First, there’s Kong, in the original King Kong (1933). Consider: Carl Denham displays him in New York with these words: “He was a King and God in the world he knew, but now he comes to civilization merely a captive, a show to gratify your curiosity.” It is only now, in his captivity, that Kong is christened (har!) King Kong. Displayed in a crucified position (a bit of symbolism Peter Jackson missed in his remake, preferring to have a symmetry between Anne and Kong’s shackles), Kong might as well have “INRI” over his head. Kong is, of course, a symbolically overdetermined figure. He is everything from oppressed working class to male id to racist nightmare and beyond, so why not a Christ figure too? Making him one complicates the other references, and so adds to the extraordinary density of the 1933 film. But Christ is, therefore, just one of the roles given to Kong. An even closer match to what goes on in Man of Steel (though, again, much more successfully) occurs in two of the recent Gamera films: Attack of the Legion (1996) and Revenge of Iris (1999). The former is filled with Biblical quotations, from the title on down, and Gamera does effectively die before rising again on the third day. In the latter, he undergoes crucifixion (check out the scene here). Important point: Gamera experiences meaningful sacrifice. He suffers a lot to save the Earth. Further important point: the details that make Gamera a Christ figure also underscore the differences (beyond, of course, being a giant, jet-propelled, fire-breathing turtle). I repeat that he experiences sacrifice to save the Earth. Not us. In Revenge of Iris, we get a battle between Gamera and Gyaos in an urban environment. The destruction is just as spectacular as in Man of Steel. But here, unlike with the battle between Superman and Zod, we see the cost. We see people die. We see people die because of Gamera (he sends one of his fireballs through a skyscraper to take out Gyaos, with massive collateral damage). We are even given casualty figures. Gamera is a god-like figure who, most of the time, is, at best, indifferent to humanity, in no small part because we are part of the problem facing the Earth. So when Gamera actually does help humans, those moments are meaningful. They are moments of grace. That films promising the unrepentant destruction of monster mashes understand these ideas so much better than a film that explicitly espouses them strikes me as being more than a little bit ironic. Even more ironic is that the Gamera films are made in a culture which is far from associated with Christian religion. Yes, that has struck me as well. I’ve also thought that that is also why the Gamera films can take the idea and run with it, because there would be far less taboo involved. One of those cases of appropriation going the other way. I agree, David, distance lends perspective. I haven’t seen the Gamera films, but I haven’t been overly impressed with American genre films lately. They seem to depend on form over substance, which is sad, because there is so much potential that is being wasted. Thanks, Teresa. Agreed. I don’t necessarily have a problem with form over substance, if that’s what the film is interested in (or more precisely, if the form IS the substance, and doing so well, I’m good with that). But, as Jon Schafer and I have been discussing, there’s so much coming out of Hollywood that pays lip service to more complex themes without ever committing to them. When it happens, it tends to be in smaller films, or in the rare instances the filmmaker has enough vision and power to make that happen. If you do get a chance to see the Gamera films, they’re a lot of fun — full-on man-in-a-suit monster mashes, but with other stuff bubbling away too. I haven’t seen the Gamera movies, but I was struck by the shallowness of Man of Steel in its metaphors. Particularly, since the original 1978 film played up the symbolism just as strongly, but highlighted, in some ways, Superman’s powerlessness (could not save his father) and his rejection of following Jor-El’s godlike instrictions (reverses time just to save one person, whom he loves). I think, ironically, that it’s the Marvel movies that grasp what made Superman a figure of wonder in the first place — take the Thor movie, in particular. 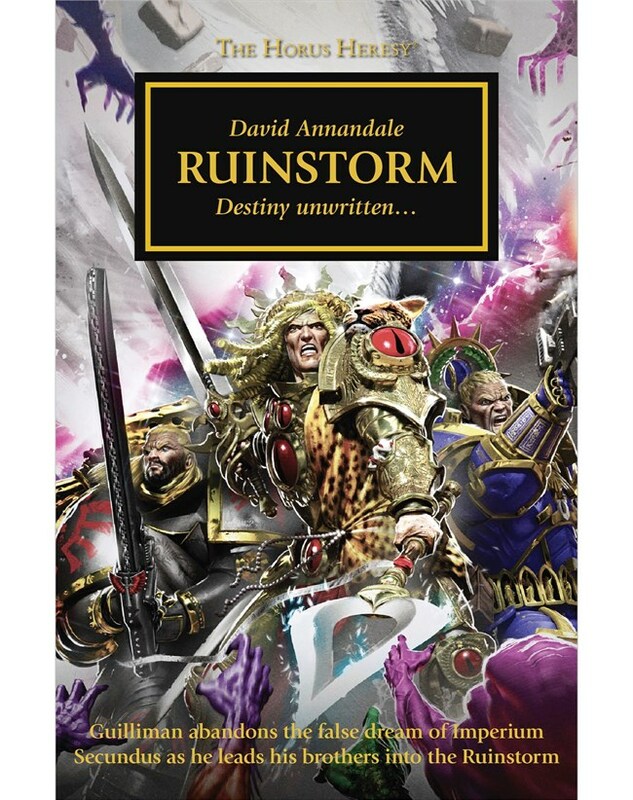 God-man finds himself surrounded by people, sees them as lesser beings, but is basically decent to them, and takes on monumental battles with a grin and revels in his power. If that isn’t Superman for the good first few decades of his existence in pop culture, I don’t know what is. Maybe part of why the Christ allegory doesn’t work with Superman is that the story must end with him coming out on top — he really is a demigod we want to stay with us, not one who must be sacrificed/destroyed to be reborn. In that way, maybe a better metaphor would be Moses — Jewish by birth, raised among foreigners, granted great power by God, and deliverer of his people. Have you ever read “Men of Tomorrow” by Gerard Jones? Fascinating look at the birth of superhero comics, and I think he addresses the early symbology (likely subconcious) of Superman, given his creators’ backgrounds and the era they grew up in. No, I haven’t picked that up yet. But I can well believe it’s fascinating stuff, given its author.